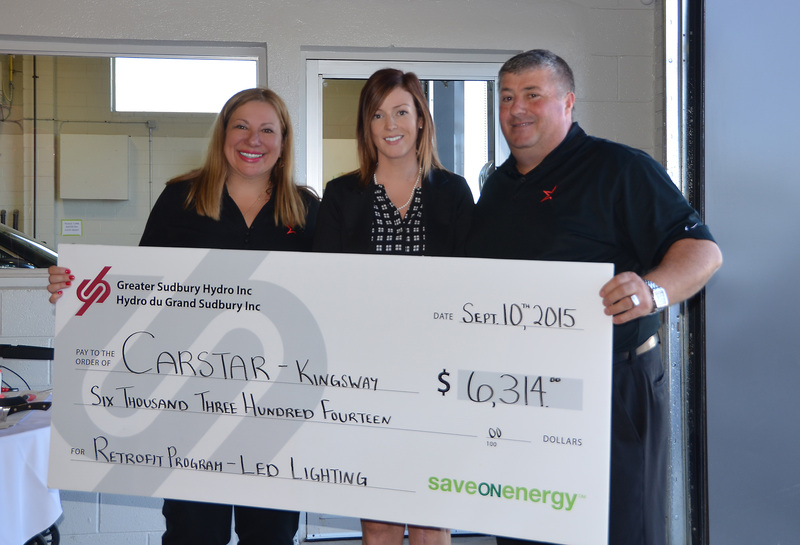 New Carstar Location Saves on Lighting – Greater Sudbury Hydro Inc.
A New CARSTAR Location opened recently on The Kingsway in Sudbury, and Greater Sudbury Hydro was on hand to present a cheque for $6314.00 to owners Gianna and Tony Nero. The Neros received the money for participating in the saveONenergy Retrofit-LED Lighting Conversion Program while renovating their location. Not only did they get some money to help defray the cost of their upgrade investment, but they will also save approximately $7000 annually on electricity costs! That’s smart business!